Free EB-5 Evaluation What is Form I-829? The I-829 petition is viewed as the last step of the EB-5 visa process. It is designed to prove to the United States Citizenship and Immigration Services (USCIS) that the plan put forth in the I-526 petition has progressed in a positive fashion and the EB-5 Program requirements have been met. The I-829 petition proves that the immigrant investor successfully met all USCIS requirements. Once the petition is approved, the investor’s conditional residency restriction is removed and that investor, his or her spouse, and their unmarried children under the age of 21 can live in the United States permanently. From a timing standpoint, the I-829 petition can be filed starting 90 days before the end of the two-year conditional permanent status period. The investor’s conditional residency will be extended while the I-829 petition is under review by USCIS. The application must be filed within 21 to 24 months of the investor’s two-year conditional residency period; otherwise the ability to obtain a permanent residency card can be put in jeopardy. to show conditional resident status. The primary form of supporting documentation is a photocopy of the applicant’s green card. In addition to proving the applicant’s resident status, the investor must also prove that he or she has met the requirements of the EB-5 Program, including job creation and the formation of a new commercial enterprise. An applicant must prove that a new commercial enterprise was indeed established. In order to do so, the investor can provide items such as tax returns that document the new commercial enterprise’s existence. Once the investor proves the enterprise was created, the investor must show that the enterprise existed throughout the duration of the investor’s two-year conditional residence. The investor may submit state and federal tax returns, quarterly tax statements, bank statements, contracts, licenses, receipts, and invoices. The applicant must next prove that the required capital was invested as part of the EB-5 Program. This can be proven through the submission of items such as bank statements, audited financial statements, or any other documentation that demonstrates the investor’s cash flow to the new commercial enterprise. The applicant must also provide evidence that the capital investment has resulted in the creation of 10 full-time, EB 5-eligible jobs as part of the EB-5 Program. Supporting documentation such as payroll records and tax documents can be utilized as proof for this part of the I-829 application process. In cases in which an applicant has a criminal history, additional documentation will be needed to add more context to the application. In these situations, certain legal documents must be provided, including but not limited to court records, law enforcement statements, and any records of arrest, sentencing, probation, or parole. A successful I-829 petition is one built through a collaborative effort between the EB-5 project sponsors, the project developer, the investor’s counsel, and the regional center. In order to ensure a successful petition, accurately tracking a number of key metrics is critical for both developers and regional centers. Among the metrics that must be tracked, the inputs used in the original economic model are of utmost importance. These inputs include items such as hard and soft costs, operational revenue numbers, and the number of jobs—both direct and indirect—created through the project. Unfortunately, in recent years, USCIS has seen a number of situations in which tracking mechanisms were not seriously implemented ahead of the I-829 deadline, and submissions were unable to support the job creation requirements of the EB-5 Program. In order to stop this recent trend, project teams need to emphasize accurate tracking from the onset. Teams must keep precise records of cash flow, including invoices and other proof of payment capable of satisfying job creation requirements in the economic report (hard costs, FF&E, etc.). Proving hard and soft costs can be accomplished through providing actual receipts and proof of expenditures. Developers must begin tracking these aspects as soon as construction spending begins. From an operational standpoint, USCIS will need to understand the revenue portion of the project to determine whether the acceptable job numbers have been created. Ideally, USCIS will utilize W-2 forms, I-9 information, and financial statements that are preferably audited. The tracking effort does not stop there for these project teams and their affiliated regional centers. In addition to spending and revenue creation, applicants must show that their EB-5 investment has been maintained throughout the job creation period. K1 forms provide ample evidence to prove to USCIS that this has taken place. At the regional center level, the team must work together with developers and investors to ensure that a social security number has been issued, which is a main component of attaining a Form K1. Finally, USCIS requires the investor’s funds to be deployed in the project at the time of the investor’s consular interview. The responsibility resides with the regional center and developers to ensure that this occurs. It is extremely important for the team to ensure that the investor is fully prepared when the time comes for the first consular interview. An investor must be keenly aware of the conditional status expiration date that is noted on the conditional green card that he or she received at the onset of the EB-5 process. The deadline set forth to file the I-829 application will depend on the timeframe outlined on the conditional green card. USCIS will accept petitions submitted to their USCIS California Service Center. USCIS processing times are currently listed as between 28 and 36 months, depending on caseload upon submission. USCIS may sometimes request additional information that may be necessary to help them adjudicate the petition. They may also request an in-office interview with the applicant. These additional requests emphasize the need for a highly effective application supported by accurate tracking from the beginning. When an I-829 is approved, the applicant’s conditional residency status is replaced by a lawful permanent resident status. Once this occurs, the investor will receive a new green card reflecting the status change. What Happens to an Investor’s Status After Filing the I-829 Petition? Once an application is filed, USCIS will provide a receipt of filing to each of the parties under review (the main investor and his or her spouse and dependents). Using this receipt, an investor can track his or her application status. This receipt will also provide confirmation that the conditional resident status has been extended while USCIS is reviewing the petition. In addition, this notice will provide the investor with work and travel authorization. After filing the I-829, USCIS will send a written notification of the date, time, and location of the applicant’s biometrics (fingerprinting) appointment. It is mandatory for the investor to appear at the appointment at the scheduled time; otherwise the application may be denied. It is possible to reschedule an appointment, but USCIS requires very specific steps to do so. If a situation occurs in which a project fails, the investor can still be granted permanent resident status through a successful I-829 filing. The success of the filing will be reliant on the investor’s current immigration status and the degree to which the original business plan set forth was successful. Investors who have already started the period of conditional residence can still receive I-829 approval. 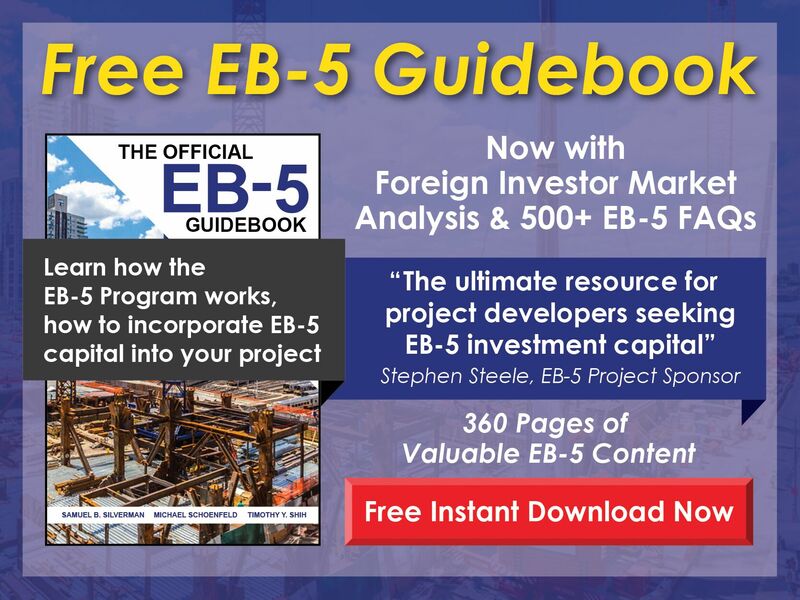 In these cases, the investor must prove two things: that the original EB-5 investment can be sustained, and that this investment created or will create the full-time jobs required by the EB-5 Program within a reasonable time. One key point to emphasize is that it is not required to show USCIS that a successful business was established. As long as the requisite jobs were created and the application requirements were satisfied, even temporarily, the investor should be granted permanent residence. 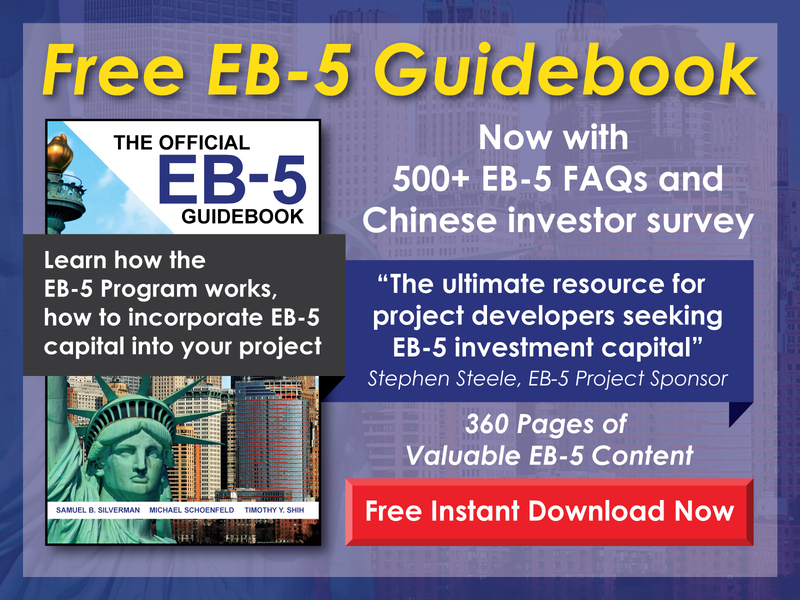 If the project has failed prior to the satisfaction of the EB-5 requirements, redeployment is a viable option for an investor. However, it must be noted that the redeployment must be done by the new commercial enterprise (NCE) rather than the individual investor.